People who are disabled or have restricted mobility do not have to worry about a holiday on Spain’s popular Costa del Sol. 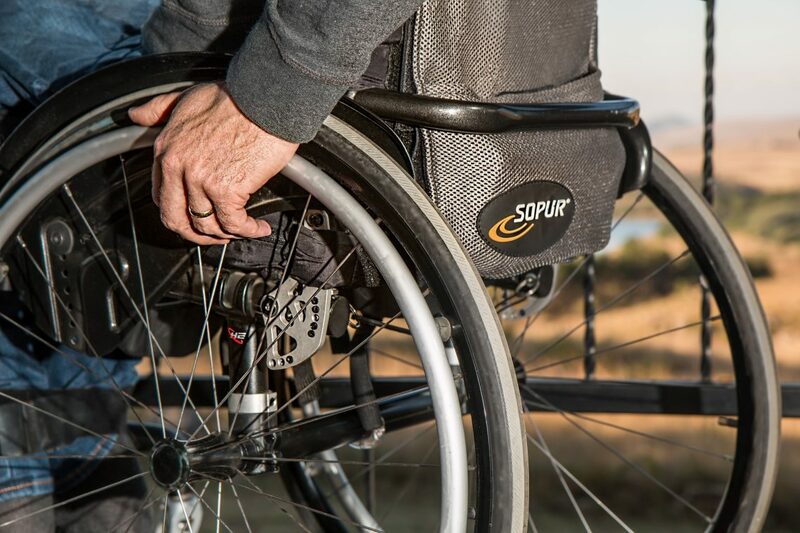 Spain is a world leader when it comes to the rights of the disabled and has laws in place which require establishments to provide ramps and toilets for handicapped customers. While air travel might seem daunting to passengers who are handicapped or who have reduced mobility, all airports in the UK and Spain are geared up to offer assistance. In fact, EU law states that any passenger who is either disabled or suffers reduced mobility has the legal right to assistance when travelling by air. Less abled visitors going on holiday should let the airline they are flying on know at least 48 hours in advance that they require assistance. You can do this either by calling the airline or by filling out the assistance form when booking your ticket online. If you are in a wheelchair or have a disability an airline or airport employees will take you from the check-in desk to the aircraft for departure and from the aircraft to the arrivals hall at your destination. Usually, any passenger with a disability or in a wheelchair will board the aircraft ahead of all other passengers so that they can safely get in their seat before the other passenger’s board. On arrival, the reverse is in effect with the disabled or passenger with reduced mobility having to wait until all the other passengers have disembarked before being assisted off the aircraft. Passengers who rely on guide dogs for assistance are permitted to have their guide dog with them in the cabin with all airlines flying to Spain providing either bulkhead space or an adjoining seat for the dog. Persons with reduced mobility (PRM) need to arrange with the airline for an agent to meet them and the airport so that they can take the guide dog to an area where it can do its business before being escorted through security and onto the plane. Health and medication is also a consideration, particularly if you require oxygen, so be sure to let the airline know all your requirements well in advance. Passengers travelling to and from the Costa del Sol using Malaga airport do not need to worry about mobility issues as Malaga airport meets all EU accessibility standards and is well equipped to ensure that passengers with special needs can move about the facility with ease. When arriving at the airport or being picked up you are free to use the specially designated areas for mobility challenged travellers in front of the arrivals and departures part of the terminal. Along vast parts of the Costa del Sol people will with reduced mobility have no trouble getting around as the terrain is flat and modern (no cobblestone streets) plus the curbs all slope where you have to cross a road. Wheelchair users in Fuengirola, Benalmádena and Torremolinos will enjoy the seafront promenades and restaurants due to their wideness and ease of getting around. People with reduced mobility and wheelchair users in Nerja will have no problem getting around the centre of town and the streets around the Balcon de Europa as they are all pedestrianized and easy to negotiate, but some of the streets in the old town are quite narrow and difficult to navigate. Torre del Mar in Malaga has a long and wide seaside promenade where disabled visitors in a wheelchair will enjoy as much as anyone else. The flat smooth surface of the promenade allows wheelchair users and mobility scooters to cruise along unhindered and ramps make the paseo easily accessible. Although beach access has been made possible in Torre del Mar for less mobile individuals, visitors may decide to research hiring an ‘All Terrain Beach Wheelchair or Beach Powered Mobility wheels. It’s reassuring these days that we don’t need worry about needing assistance at the airport or fearing what reception to expect on the Costa del Sol. Spain is indeed becoming one of the best places for people with reduced mobility or in wheelchairs going on holiday in Europe.